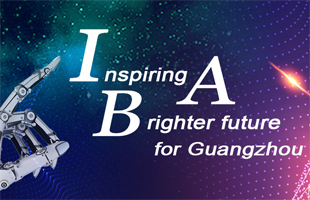 The Huangpu district sub-forum of the 2019 Guangzhou Annual Investment Conference was held on April 3 when distinguished guests from innovation companies, experts, and officials gathered to talk about creating an excellent business environment in Huangpu for the construction of the Guangdong-Hong Kong-Macao Greater Bay Area. 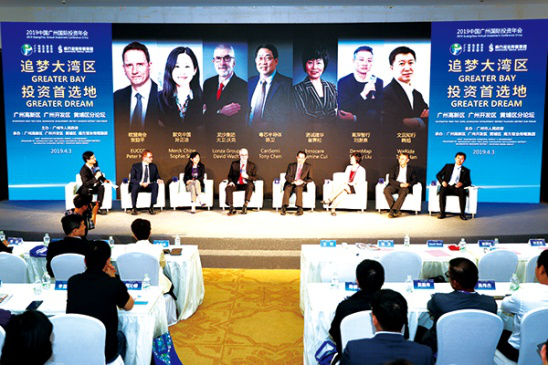 At the forum, themed on “Great Bay, Great Dream”, Huangpu promoted Sino-Singapore Knowledge City, Guangzhou Science City, Huangpu Port and Guangzhou International Bio Island as the four engines fueling construction of the Greater Bay Area. Huangpu aims to be an innovation and knowledge center of the Greater Bay Area, a source of innovation, and a hub of talented people. 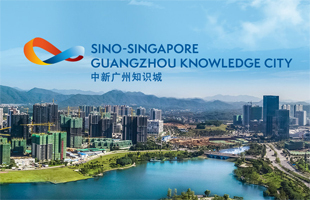 Professor Wang Jun, head of the Guangdong Academy of Social Sciences and of the Guangdong-Hong Kong-Macao Greater Bay Area Research Institute, gave a speech on the Greater Bay Area and the development of Guangzhou. Guangdong is in the process of gathering innovative resources, Wang said, and to do that it needs to transform its advantages of policy subsidies into opportunities of economic activities. By giving equal importance to both large and small enterprises, the province could build the innovative clusters, he added. Huangpu district, as the first business environment reform and innovation experimental area in Guangdong, has to lead in business environment reform, emphasizing platform construction, big and small enterprises, convenient resources exchanges and living conditions upgrades, Wang suggested. “We completed a lot of 'first time' practices after coming to Huangpu. When we found Huangpu district a good place for us, we wanted to bring high-tech upstream and downstream enterprises here,” WeRide.ai CEO Han Xu said. A complete industrial chain including unmanned enterprises and automobile manufacturers, including WeRide.ai, gave Gaoshen Zhixing enough confidence to run a business in Huangpu. Merck China has established the Guangdong Innovation Center, the first innovation center in South China, on the Guangzhou International Bio Island. Sun Zhengjie, managing director of the Merck China Innovation Center, said the Guangdong center was established because Huangpu district is friendly to start-ups, and has strong research institutes and government support for innovation and intellectual property protection. Huangpu has 1036 national, provincial and municipal innovation platforms, and has cooperated with 75 high-end research and development institutions such as Stanford University, Oxford University, and the Chinese Academy of Sciences. As the only region in China that has been approved by the State Council to carry out comprehensive intellectual property reform, it has established a good intellectual property ecosystem that creates, applies, and protects property rights. It currently has 20,000 technology enterprises and more than 2,000 high-tech enterprises. The output value of its high-tech industries is nearly 200 billion yuan, accounting for more than 70 percent of Guangzhou's total. It is cultivating the next generation of world-class industrial clusters in information technology, artificial intelligence and biomedicine. In March, Huangpu established a business environment reform bureau to put business environment construction in a more prominent position. Huang Jiao’e, director of the bureau, said the bureau will develop the country's first district-level business environment evaluation index system to add to the World Bank’s and the domestic business environment evaluation index systems, and will establish quantifiable indicators. 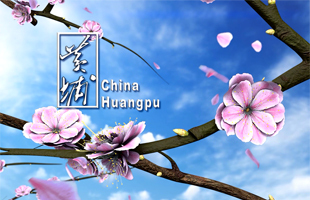 Huangpu’s 2019 image promotional video was released at the forum, which was attended by over 100 representatives of multinational corporations, key domestic enterprises, headquarters enterprises and greater bay area research experts.